Did you know that 1 drop of chemical sunscreen can kill an entire coral reef? Yup. As a South Floridian who spends lots of time in the ocean slathered in sunscreen, this is an alarming fact and the main reason I made the switch to coral safe sunscreen. In a 2015 scientific study published by NOAA (National Oceanic and Atmospheric Administration), scientists discovered that 4 commonly used sunscreen ingredients were shown to bleach, kill and even damage the coral’s DNA. Chemical sunscreen is so toxic to corals that even 1 drop of this stuff is enough to kill an entire coral reef. Now imagine the damage the reportedly 14,000 tons of sunscreen lotions discharged every year into coral reefs is doing… tsk, tsk, tsk. To check if your current sunscreen contains toxic ingredients, check out your sunscreen here! 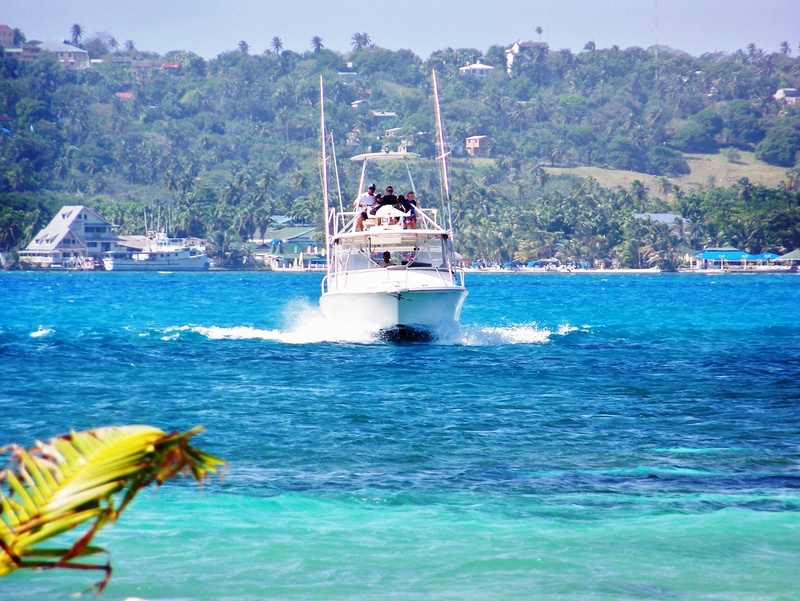 One of many coral reefs around the island I grew up in: San Andres Island, Colombia. 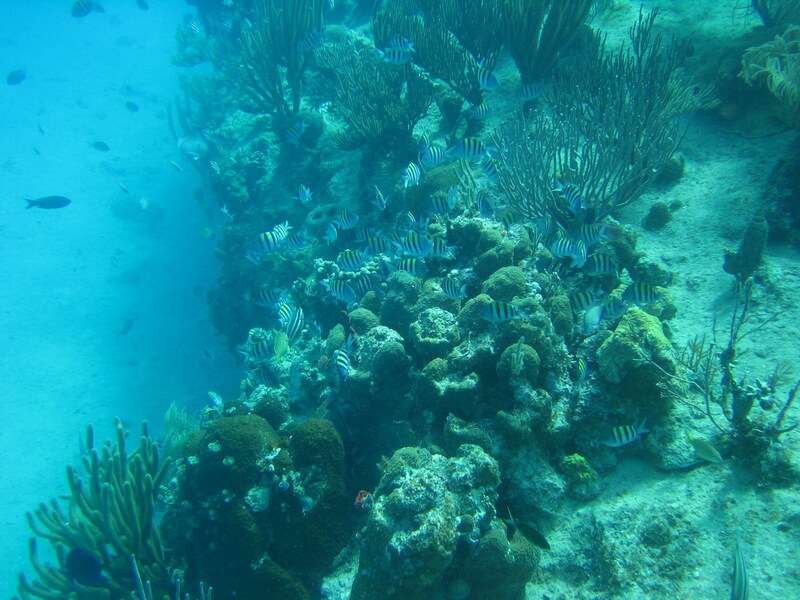 Coral Reefs are called the rainforest of the ocean because its biodiversity. It is in our best interest to keep coral reefs healthy. Don’t you think? Coral reefs are build by free-swimming coral larvae who attach themselves to any underwater rock at the edges of islands or continents. When they die, they leave a skeleton made from calcium carbonate. This skeletons provide the building blocks for what we call coral reefs. Over hundreds of years, calcifying algae glues the many pieces of coral together creating massive structures like the great barrier reef and even islands. The process of building a coral reef is slow and can take up to 10,000 years for a coral reef to form from a group of larvae (Barnes, 1987). Corals polyps can add between 0.2 to 8 inches per year depending on the species. For example: the thickest reef in the world, Eniwetok Atoll in the Marshall Islands, is estimated to have taken 138,000 and 176,000 years to form. In conclusion, coral reefs are important and so is sun protection. As of right now, it is reported that we have lost over 80% of the coral reefs in the Caribbean due to warming oceans and the use of Oxybenzone-based sunscreens. That’s a lot of food and jobs that we’ve lost! Fortunately, we do not have to compromise. Making a switch to coral safe sunscreen is easy by choosing coral safe and biodegradable sunscreen ingredients. Follow my philosophy: If it is not found in nature, don’t use it. This entry was posted in My Body and tagged beach, climate change, environment, ocean, South Florida, sunscreen.